My name is Gottwald Peter, I am a young boy and today I am the king of the new government of the country with the right to recognize the right of sovereignty in the territories of ID's Diamond Oasis North East Africa Bir Tawil basically the rights of my self-proclaimed self-esteem in 1998, today as the right of territorial sovereignty with International Political and, above all, State Laws, but also with the recognition be denunciation of the majority of representatives of International political organizations and a large number of governments. Today, I am a legal representative of the new government of the country with the interests and goals of my own development for membership of the United Nations, and achieving full co-operation between all the governments of the countries, at the level of common diplomatic relations and partnership. The government of my country, founded only for peaceful and friendly purposes, in respect of International rights and justice, as well as the promotion of world development and building, the ideology of the Nation's right to the life of Maximalism and the goal of our International cooperation as one nation and The One World! That is why my goal is to reach out to your organization and ask You to honor my invitation and offerings and also to realize how my offer is really a great asset to your organization and how it is a great deal of value of our entire world. The step that I am today is a step towards achieving great progress on the level of global organization and co-operation in the section on issues of profitable organization, world success in addressing, achieving success in global media coordination, and having significant global organizational skills as one of the most powerful and dominant networks of the world's society, reaching the social and commercial level beyond the United Nations, and that is the purpose of our joint strength to support our entire world and the future of all generations. My invitation is first and foremost a greeting to NGO and INGO Group for the purpose of offering a strategy for our cooperation, and also to enable You to extend your interests to the International level. My goal is to offer You new opportunities for Global Collaboration and to create a common centralized coordination among all NGO entities around the world, also allowing for the growth of a strong partnership at the Global Level of Politics and Economics, between the governments of the countries, Presidents and the Ministry, together with the Central Banks of the States and Nations but also the purpose of world cultural cooperation and art between peoples and communities, as well as the purpose of strengthening the importance of human rights in world society and nations, as well as the ideology of the future of all mankind. My invitation to You and your organization is primarily based on an invitation to establish our cooperation and joint support for expanding the number of NGO's Organizational Members across the globe and our joint function as one important entity of legal substance related to meaning and maturity as one organized group, The Global Alliance of all NGOs founded on the growth of common logistics and the use of our alliance's mutual partnership, as well as enabling and growing for jointly achieving coordinated cooperation with the world's media. The goal of my invitation for your honored NGOs is to create your organization's branches on the ground of my country's government, and thus enable global coordination to be achieved as one of the most important logistics groups with global capability and being the center of the Alliance with the ID's Diamond Oasis North East Africa Bir Tawil. Due to the destabilization of my country governments, I offer YOU the possibility of co-ordinated cooperation for the creation of a Procuratorate between other NGOs and the launching of joint summits to ensure a common logistics function in the global dimension, as well as the possibility of your coordinated representation on behalf of my country's government in such legal significance. We can jointly coordinate at the level of global economic development and modernization of civilizations, we can jointly expand global security and human rights strategies, together we can also support social development, building architecture and urbanization, as well as networks of global society and the maturity of our society. Our horizons will be to ecologize and stop the causes of damage to nature, as well as global political coordination for the establishment of green projects. Our partnership will help many people around the world, and everyone will be happy with these possibilities of our coordinated cooperation because our logistics can really give our world many new ones. First of all, your organization will also get more significant financial gains that can actually be much more successful in building your organization's goals. The Alliance means a common logistical coordination on a global level, and our alliance is able to build business activities, earn money and organize strategic actions as well as agreements or services among our own members of the alliance as NGOs, and that is why our alliance is able to get really profitable profits that fundamentally improve financial gains for us for all, but also, above all, allow even greater use of organizational interests. Conferences, International summits, public festivals and public fairs, the possibility of setting up exchanges and creating strategic Internet projects, joint media activities and own media agencies, the ability to coordinate at the political level and thus to obtain tens or hundreds of miliards €$ for the relationships of our organizational goals from the International co-operation agreement of the states, it is indeed real that our agreements are extensive and give us great strength for our future. Logistics, management, flexible mind and knowledge and activity, a global cluster of people who together can create a new world. So I offer You an advantageous step for You to use to strengthen your strength, but also to dominate Internationally and enable more mature results from your goals and the purpose of the association in a single group of your organization. 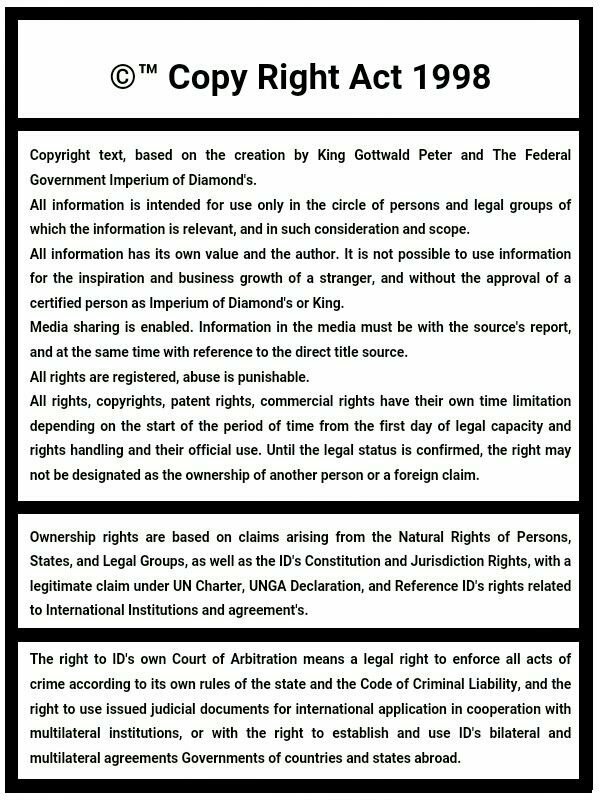 If your organization therefore establishes the cooperation purpose of this office with the purpose of establishing a provisional Prosecution Office among other NGOs worldwide, we can jointly establish conferences and logistics contacts for the Procuratorate which also enables us to grow for the purpose of creating autonomous functions for many forms of business management will ensure the free establishment of a new headquarters of your organization in the territory of my country, so that the headquarters of all NGOs from all over the world will be based, based in the form of a city comprised of over 600 new skyscrapers centralizing around one large stadium NGO meetings in co-operation and thus with a function like the Council of Members. Therefore, your organization will get a new office in the city free of charge, composed of the global centralization of all NGOs, as a global logistics center that achieves the highest level of logistics around the world, and the purpose of exploiting the interest of our mutual benefit. Therefore, in order for our cooperation in the logistics system to be effective, only two basic steps are needed. The first step is to achieve the coordination network of all NGOs worldwide and to set up joint conferences and Internet centers for a joint discussion, for the possibility of registering all NGOs and their authorities interested in cooperation. This will create a common register that allows our joint official centralization and the emergence of a single center of organization as the one-alliance. This means that, within this one step, your organization only needs to set up a Book of International NGO Alliance Communication, thereby creating a book manager who writes the Organization's goals and supports communication with other NGOs. This system will soon create a function of centralized centralization and conferencing capability that will enable our shared interests to be synchronized at a common level, thus launching a common goal of developing the common interests of global enforcement in the interests of our organizational interests. The second step is, again because of the reality of my current destabilization of the government due to many illegal blockades on the part of terrorist politicians and the interests of their fascism and resistance to the peace principles; therefore, it is necessary for the NGO's Alliance to take steps to ensure the temporary replacement of the function of the Ministries of my country government and the right of your NGO goals and their application to development in the territory of my country, as a single managed authority with the foundation of the global consolidation of NGOs. An alliance that can use its own function on behalf of a political subject and, above all, also with the ability to engage and sponsor my own activities directly with my government, which again means the ability of much more significant progress for the purpose and your interests that we are of mutual benefit to. Your organization, therefore, in the territory of my country can support, for example, the growth of refugee camps and camps that, according to today's plans, can accommodate up to 50,000 people per conversion to one smaller camp, with the ability to urgently build more than 100 of these camps for the purpose of 500,000 refugees conflicts and migrants. Your organization can also support the development of cultures and artistic interests that are the goal of your NGO movement. Historical knowledge, museums and galleries, as well as artistic centers full of painting, music and singing and dancing, modeling and photography, as well as commercial goals of further corporate and International cooperation. Your organization can support the development of cooperation with people with disabilities and health problems. It is not difficult to agree on the creation of a function of special health centers or economic strategies that enable a common function of safe healing and treatment for persons with any kind of life complications. Your organizations can support the growth of environmental projects, promote the elimination of harmful systems against nature, and also promote ecological development in less developed countries, directly by the global support that creates the global Alliance, as well as the results of the success of such a force. Your organization can help animals in danger and fight for their rights but also ensure world cooperation for the construction of new reserves and zoos that can be beneficial to support the breeding of endangered species. Your organizations can also be active at the global level of media, modeling and fashion, or other social activities and events, sports, tournaments, film and music centers and festivals, significant opportunities for global growth, and common addressing and coordination for true collaboration across the whole world. Your organization, the position of your own goal, will be able to become one subject of global intelligence with both success and performance, and much more skill, and each of You can show You what he can and can do, what he can do for the whole world and how he can do it affect the future of our generations. 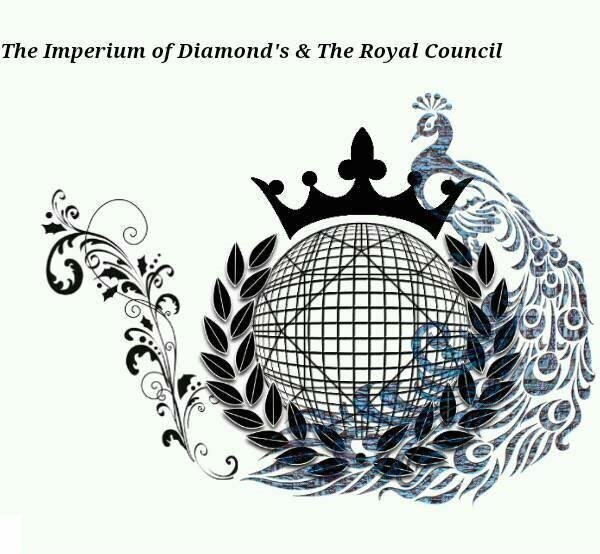 The members of your organization can also be invited to the Royal Council meeting if this is our common interest in the agreement and You have a chance to support the growth of the Royal Logistics and the management of other Royal Logistics institutions that are the first priority of my country, International level of logistical performance, and again with significant progress in your Career, which gives You the possibility of new contacts at a new level in world trade structures, politics, but also education and universities, institutions and other people who are important to the major functions of today's world. To become together as one team actually stand for it gives us great and significant opportunities that are the strong future of our society, but also a step of new possibilities for our human world. You now get the opportunity to take advantage of these offers and start a major development at the level of our entire world.